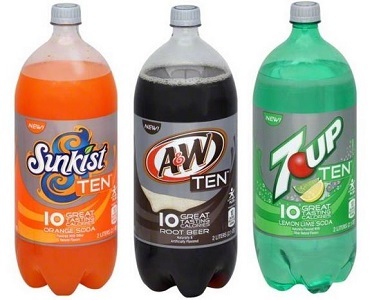 7-Up TEN, A&W TEN, Canada Dry TEN Or Sunkist TEN Only $.34 Each At CVS! You have the rest of the week to do this deal, so grab your coupons now and pick some the next time you shop at CVS! Remember that you can also get 2-liters for only $.49 each at Walgreens this week! Find more CVS deals here.